Another FFF milestone this week bloggies! 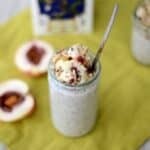 Fit Foodie Finds was given a shout out on Lauren Conrad’s Blog. 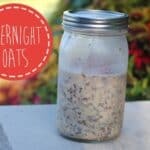 She used my Overnight Oat (from last June!) recipe as inspiration for her own creation. 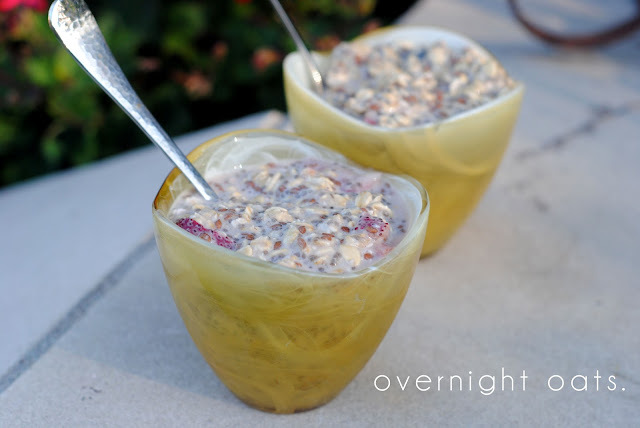 With that said, here is an Overnight Oat Recipe for you to drool over. This creation was actually made by Linley. She makes this for the kids she nannies for every morning. This breakfast is loaded with lots of good stuff: fresh berries, mashed nanner, chia seeds, flax seeds, coconut milk, and protein powder. MM mm goodness. Such a delicious, raw breakfast. 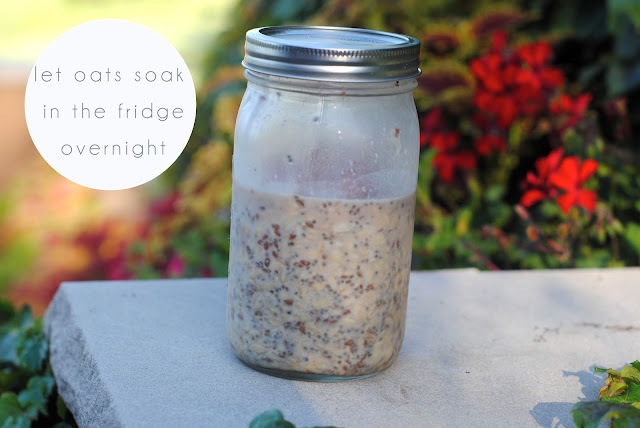 All you have to do is mix all the ingredients together in a large mason jar and let soak overnight in the fridge. In the morning it will be soft, chewy, and sweet. 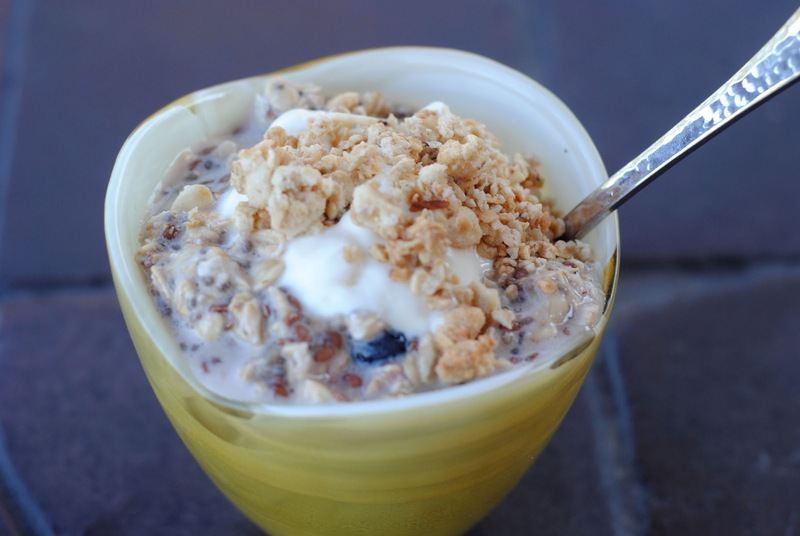 I topped mine with a little honey Greek yogurt and granola for some crunch. PS: How cute are these bowls?? 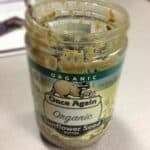 Mix all ingredients together in a large mason jar and let sit in the fridge over night. 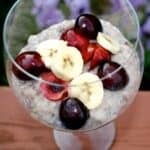 What are your favorite healthy add-ins for oatmeal?